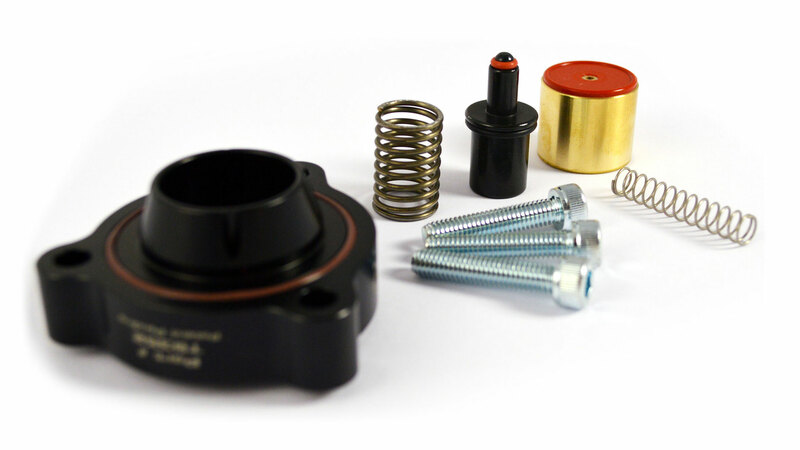 GFB offers and extensive range of direct bolt-on kits to take the hassle out of installation. When we say "bolt-on", that's exactly what we mean - no cutting, no drilling, no adaptors needed. 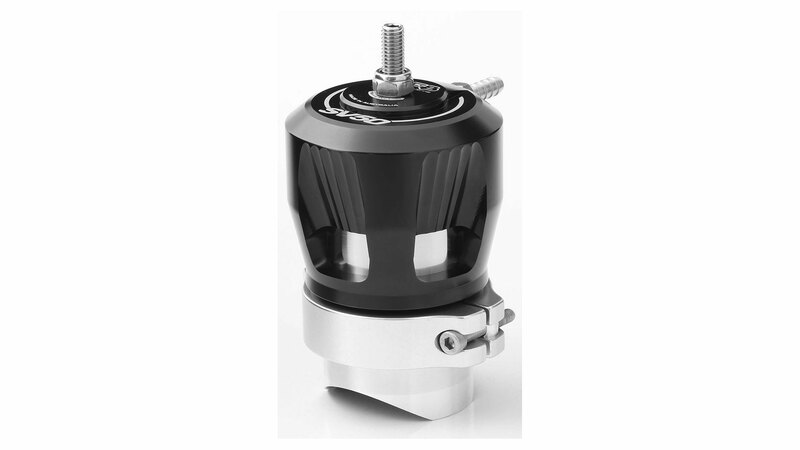 Whatever you drive, as long as it has a turbo or a supercharger, we have a valve to suit! Along with a perfect fit, you’ll also find unique features such as GFB’s patented Venting Bias Adjustment System, and Turbo Management System (TMS) technology. 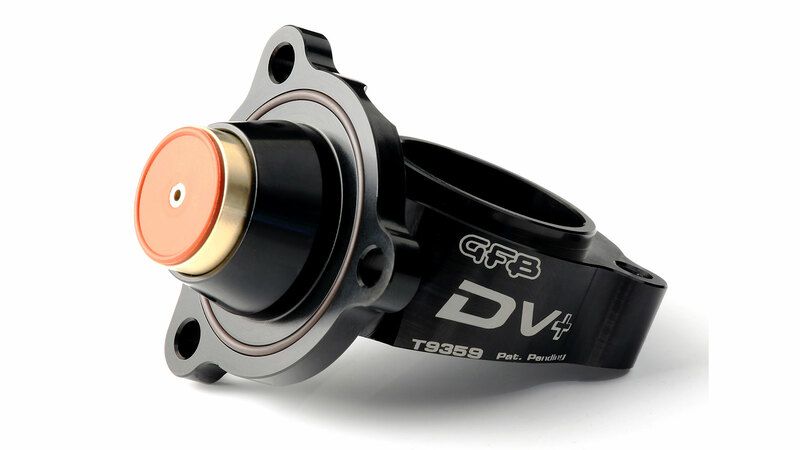 GFB pioneered the dual-port blow-off valve back in 1999, a design which has since been borrowed by most other BOV manufacturers. The use of atmosphere and recirculation venting ports helped achieve a blow off sound without causing issues such as stalling and backfiring. Subsequently, in 2001, GFB patented the Venting Bias Adjustment System, which allows the ratio of air vented through either of the two outlets to be infinitely varied. The importance of this feature is twofold; it offers the ability to control how loud (or quiet) the valve is, and it allows the valve to be used successfully on cars with sensitive engine management, which would otherwise suffer driveability issues. 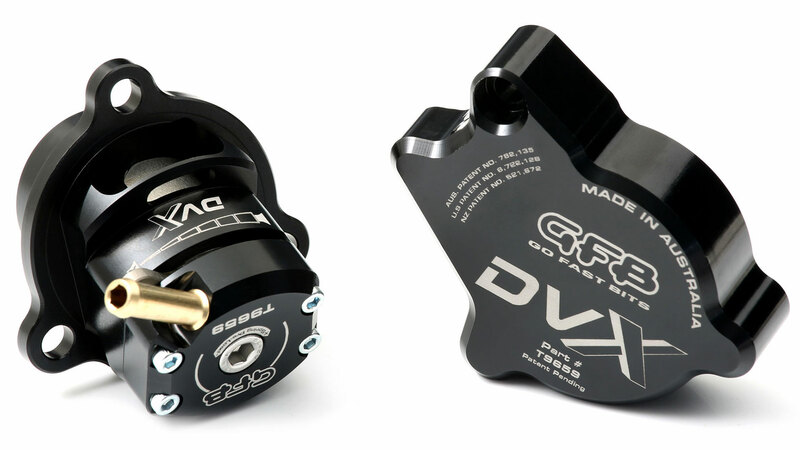 In practical terms, fitting a GFB valve with TMS technology can sharpen the throttle response and reduce lag (especially during a gearshift), reducing the time it takes to return to peak boost after lifting off the throttle. Unbeatable quality, direct bolt-on fit, exclusive venting bias adjustment to control the sound, AND a performance benefit – that’s what we mean by Performance Without Compromise. Dual Outlet Valve for Combined Recirc and Atmosphere Venting - Three Valves in One! How does a blow-off valve work? Any level you like! The design of all GFB blow-off valves means that you can run boost levels that will more likely blow up hoses before the valve will leak. 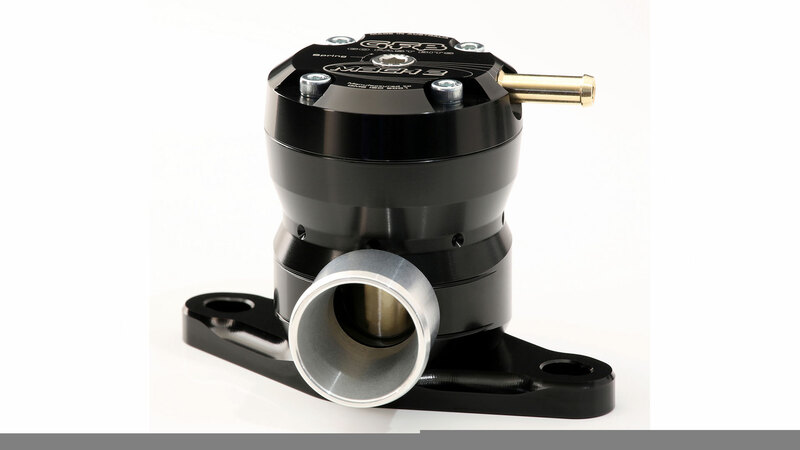 Because of the acetal seat the piston makes a perfect seal, and our valves have been tested in the factory to pressures of 110psi (if you can blow up one of our valves on a car we'd like to hear about it!). 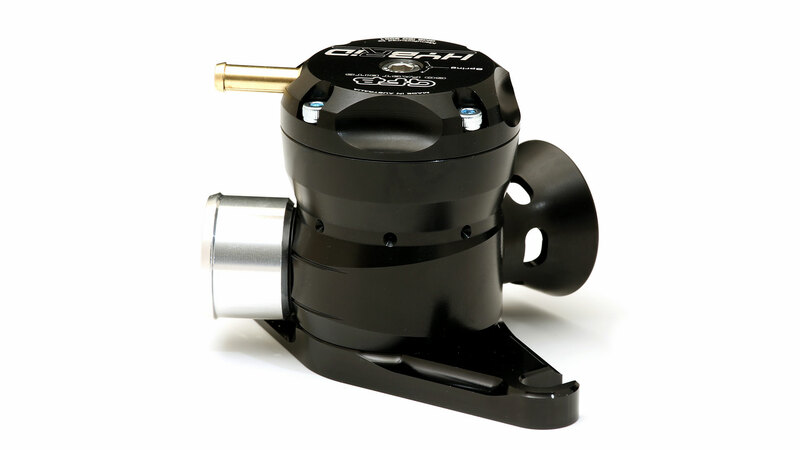 Yes, all of the GFB blow off valves feature spring pre-load adjustment. 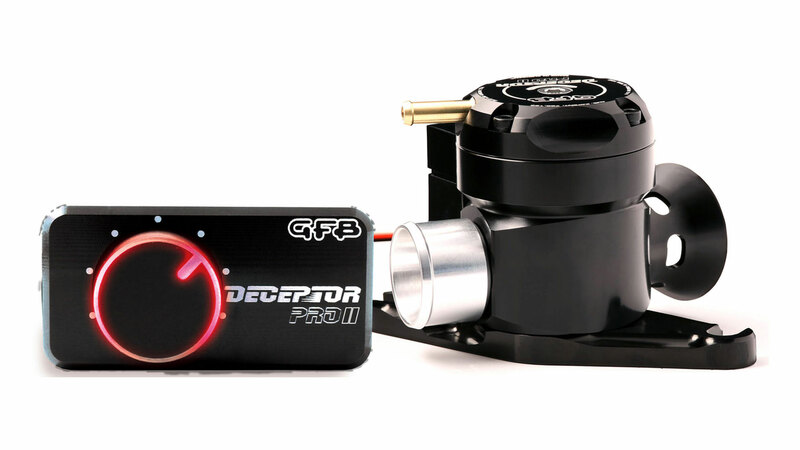 This should not be confused with the noise adjustability of the Stealth FX and Deceptor Pro, which have a second system to for this purpose. Spring pre-load is used to keep the piston shut at idle, and therefore should be adjusted to suit the idle VACUUM, not full throttle boost (it has no effect on the boost holding ability of the valve). The adjustment of the valve should be made so that the piston will shut just before idle every time. There are many people who will say that if your car has a MAF (Mass Air Flow) sensor (which is most modern turbo cars), you can't vent a BOV to atmosphere. This is not entirely true. In most cases you can, but it pays to be aware of the possible side effects. Quite often you may find the side effects are so minimal that they are not really a concern. This section describes in detail what happens when you vent to atmosphere. Most factory turbo cars run some form of MAF sensor (usually found directly after the air filter box), some use a MAP (manifold absolute pressure) sensor or even a combination of both. These sensors are used to determine the amount of air the engine is using so it can deliver the appropriate amount of fuel. In a car with a MAF sensor, when a BOV vents, air is escaping from a closed system. This air has already passed through the MAF sensor and has been measured, and the computer doesn't know that this air never made it to the engine. This will cause a brief rich mixture as the computer will still deliver the correct amount fuel dosage based on the amount of vented air. There are two stages to a BOV venting, as initially it is evacuating the pressure from the inlet pipes and intercooler, which usually takes less than a second (depending on your inlet system). 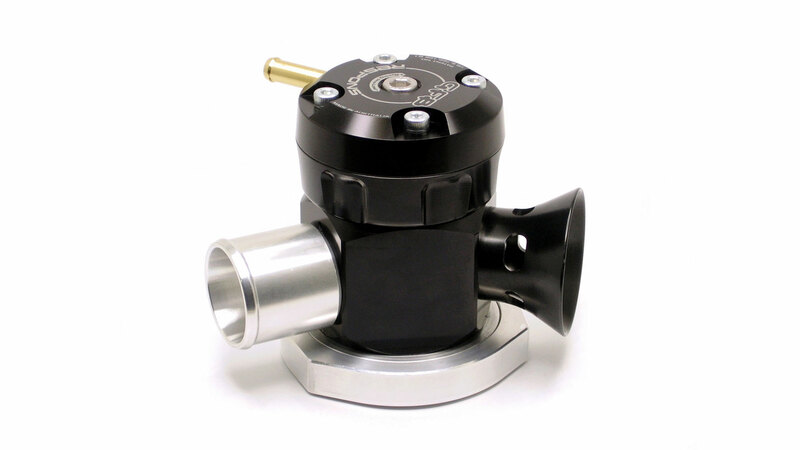 Then once the pressure is released, the valve stays open to allow the turbo to freewheel, thus reducing compressor surge and the associated thrust and torsional loads. It is mainly during this free-wheeling stage that causes the over-fuelling problems, since the turbo is basically pumping air through the MAF sensor and out to the atmosphere through the BOV, which accounts for the majority of air that escapes the system. The resulting rich mixture is what can sometimes cause backfiring and a puff of smoke in some cars. The severity of these effects usually depend on the state of tune of the engine. In cars that are modified (say with full exhaust, pod filter, a little extra boost etc) but still using the factory tuning, it is not uncommon for the ECU to compensate for the extra airflow it sees by running rich for engine protection. On a WRX for example, mildly modded engines can be running as rich as 10:1 with the factory ECU. It is this poor state of tune that can cause backfiring when an atmosphere-venting BOV is added. 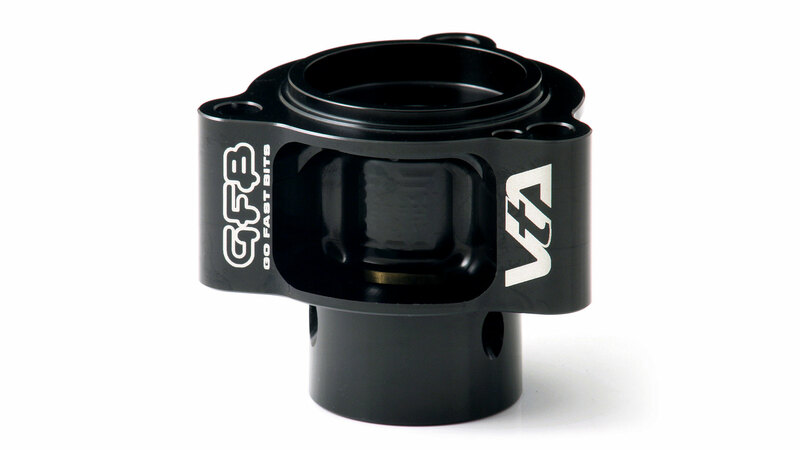 This is where the idea for the GFB Hybrid valve came from. It is made to eliminate such backfiring by its unique design that evacuates the boost pressure to the atmosphere, while sending most of the turbo overrun air to the inlet, still giving the distinct BOV sound but reducing the effects of over-fuelling. Stalling is another common problem, many people have had bad experiences with atmosphere-venting valves causing stalling problems. However, with the correct spring adjustment this is never a problem. As long as the valve closes properly before the engine reaches idle, the ECU will have no problem maintaining a smooth idle. 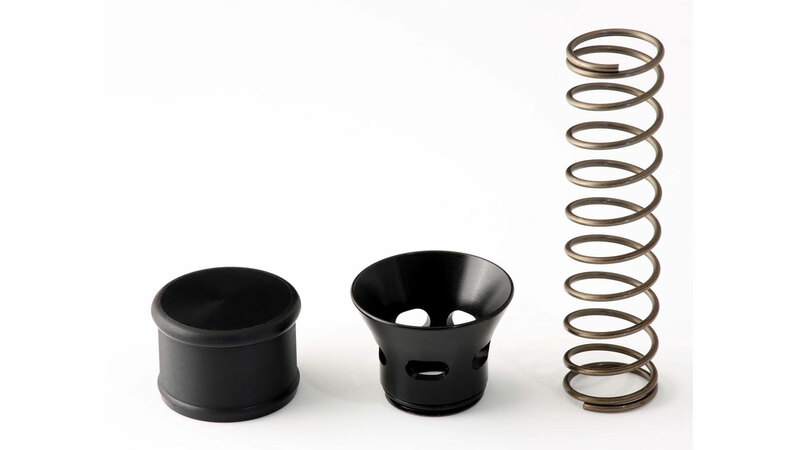 Most complaints of stalling actually come from people using certain Japanese brand valves, which often do not have the range of spring adjustment to compensate. Some cars are affected by backfiring when venting to atmosphere, and some are not. Even two identical cars with slightly different mods can react differently. The bottom line is if you vent to atmosphere with a MAF sensor you MAY use fractionally more fuel (depending on the kind of driving you do) and there is a chance you may hear some popping in the exhaust. For people who just want the maximum noise from the valve this is usually not a worry. I have a WRX Hybrid blow-off valve on my 2002 WRX and there seem to be times when it doesn't blow off, and when it does it isn't very loud. Is there a problem with the valve? The MY01-2 model WRX features vastly improved noise insulation from the engine bay when compared to earlier models, so the noise of the valve tends to be quite muffled. Rest assured that if you drive past a concrete wall with the window down you will hear it! The recirculation part of the WRX Hybrid valve is substantially larger than the trumpet opening, and will open with much smaller piston movement. It is designed this way for maximum flow and also because these WRX's can be more sensitive to atmosphere venting than earlier models. So the times when you can't hear the valve are a result of most of the air going back to the inlet and the extra sound insulation. How do I fit a blow-off valve?